Cahit Arf was born in Selanik (Thessaloniki), which was then a part of the Ottoman Empire. His family migrated to Istanbul with the outbreak of the Balkan War in 1912.The family finally settled in Izmir where Cahit Arf received his primary education. Upon receiving a scholarship from the Turkish Ministry of Education he continued his education in Paris and graduated from Ecole Normale Superieure. Returning to Turkey he taught mathematics in a high school in Istanbul. In 1933 he joined the Mathematics Department of Istanbul University. In 1937 he went to Gottingen and completed his Ph.D. thesis under the supervision of Helmut Hasse in 1938. He returned to Istanbul University and worked there till 1962 and then joined the Mathematics Department of Robert College in Istanbul. Professor Arf was at the Institute for Advanced Studies in Princeton during 1964-1966. Later he visited University of California, Berkeley for one year.Upon returning to Turkey he joined the Mathematics Department of the Middle East Technical University and in 1980 he retired from this University. Professor Arf received several awards for his contributions to Mathematics, among them are, Inonu Award 1948,TÜBİTAK Science Award 1974,Comandur des Palmes Acade'miques 1994.Professor Arf was a member of the Mainz Academy and the Turkish Academy of Sciences. He was the president of the Turkish Mathematical Society from 1985 until 1989. Cahit Arf passed away on December 26, 1997 in Bebek, Istanbul, at the age of 87. 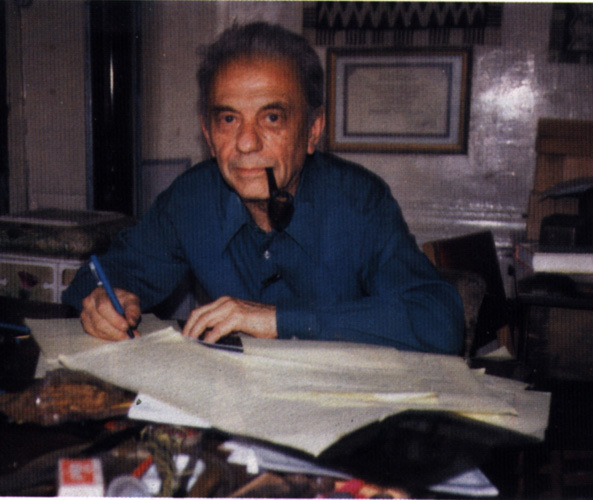 The collected works of Cahit Arf was published, in 1988, by the Turkish Mathematical Society. Professor Arf 's influence on Turkish Mathematics was profound. Although he had very few formal students, almost all of the present day active mathematicians of Turkey, at some time of their carrier, had fruitful discussions on their field of interest with him and had received support and encouragement.